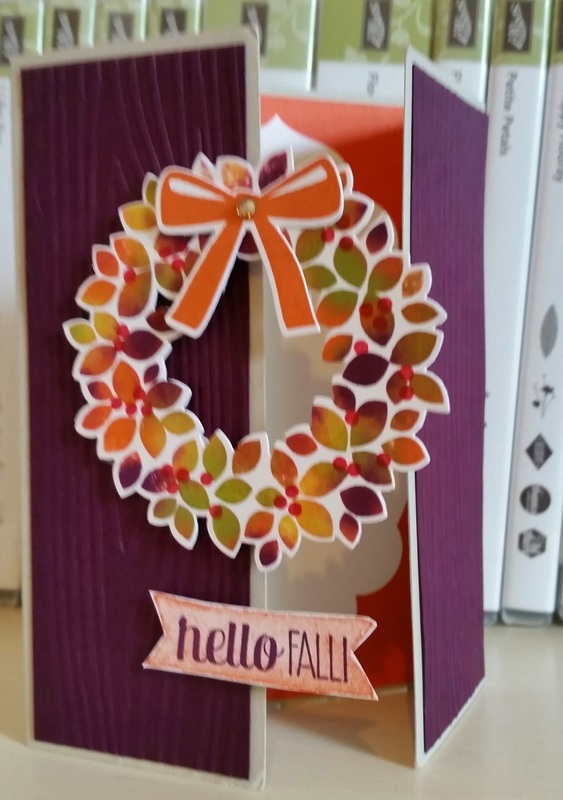 First, I decorated the gift card closure with some awesome Color Me Autumn DSP. 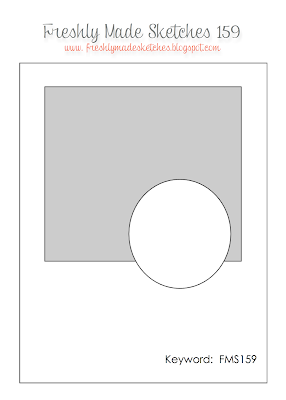 I die cut two circles and then cut in half and adhered to the front over the four flaps. I then made a belly band using two different strips of DSP and placed my sentiment with a pop on the front. 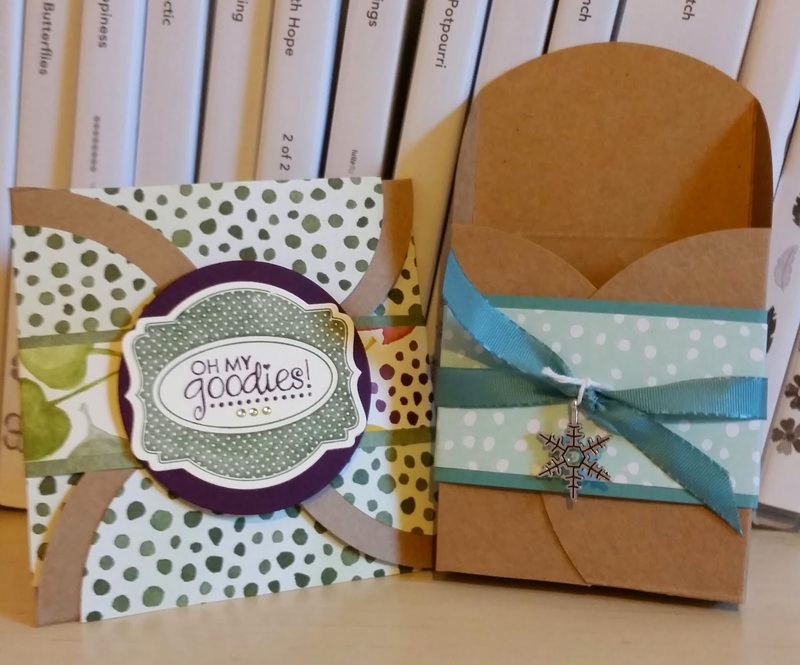 Inside these gift card enclosures is a place to attach a gift card and plenty of room to write. The next project I showed my club members was to do something different with the same gift card enclosure. I scored on three sides lining the left side up at the 5 1/4" mark. This gave the box a depth of 1/2". 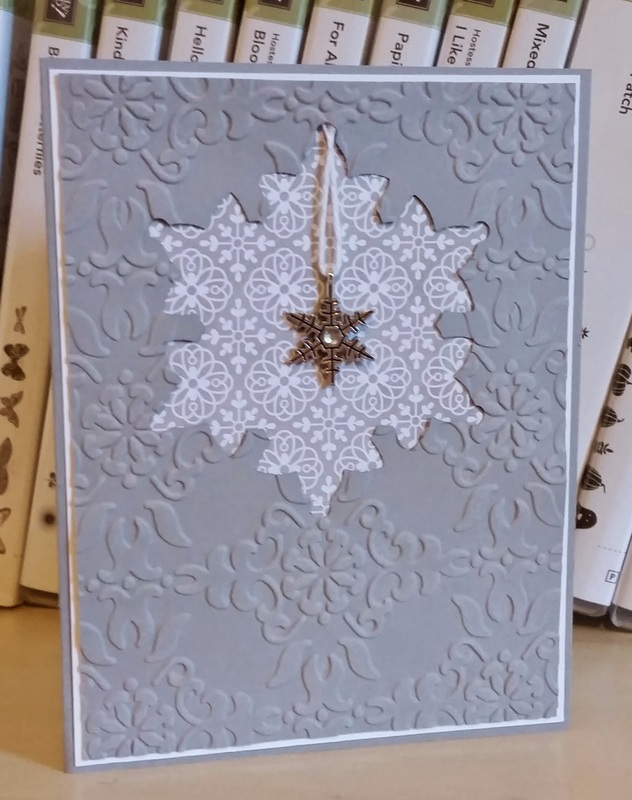 I then used card stock and All Is Calm DSP and Lost Lagoon ribbon with a snowflake embellishment from that same suite. I even colored a rhinestone with my Coastal Cabana Blendabilities marker and added to the charm. This box will hold a tea bag, candy, a gift card, money, etc..! Thanks to Janet Wakeland at remarkablycreated.com for the box idea. FMS160 Oh My Christmas Stars! Fun sketch and I saw stars when I looked at it for the first time. So went that route getting in as many stars as I could. I hope you enjoy your Thursday and thanks for stopping by! Come back tomorrow for some Stamp Club projects! Love it when something in my head comes together esp. with ease! 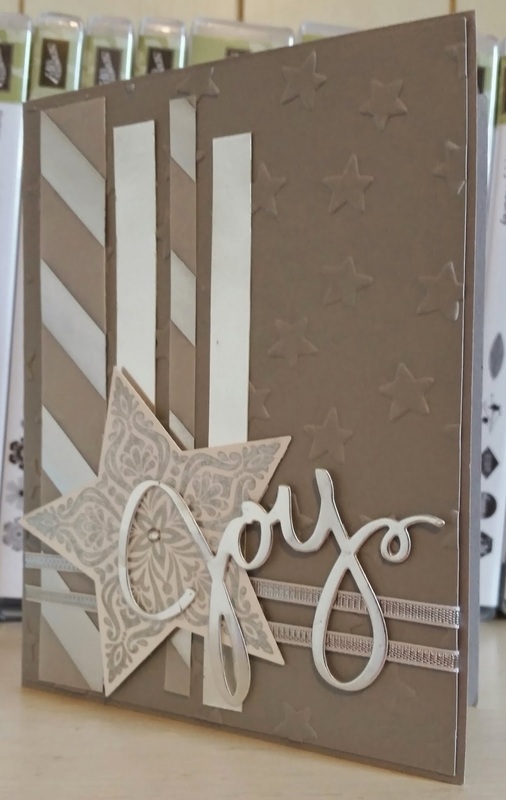 I really like the challenge this week and started to go Soft Suede and Very Vanilla but then I decided to die cut a snowflake and put DSP behind. 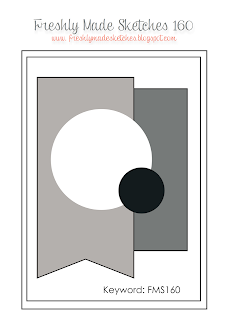 When I looked through and wanted to use this piece of DSP from All IS Calm, I then went all Whisper White and Smoky Slate! I love this retired emboss folder and thought it would add the vintage look as well. 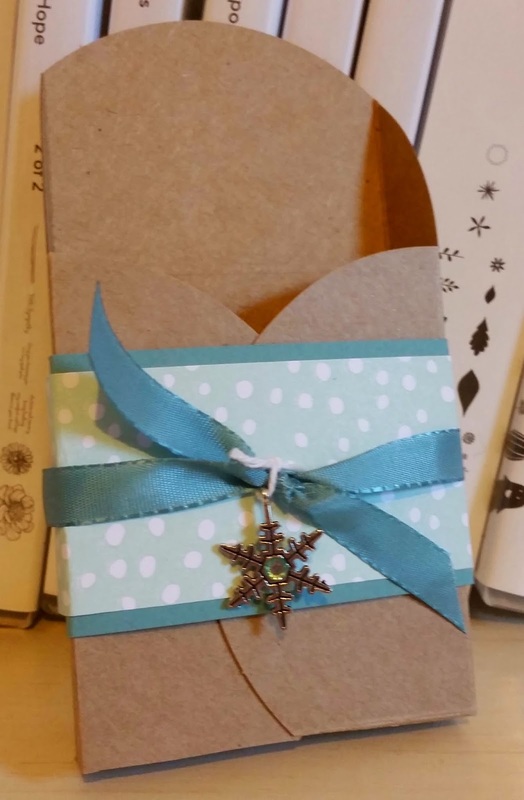 The snowflake embellishment is suspended with Whisper White twine and has a little rhinestone added for bling. I really like the card as is so did not add any sentiment to the front. So I did not stamp? No Ink? Wow! It can happen! 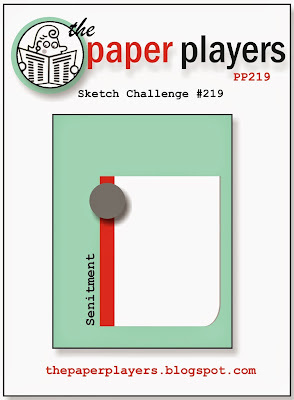 Love this sketch challenge from Nance at The Paper Players! I have had fun playing with this set one of my club members bought and I borrowed but now I have ordered it for myself! This turned out cute. I started with it in my head but so glad it came out the way I had it pictured..maybe even better! 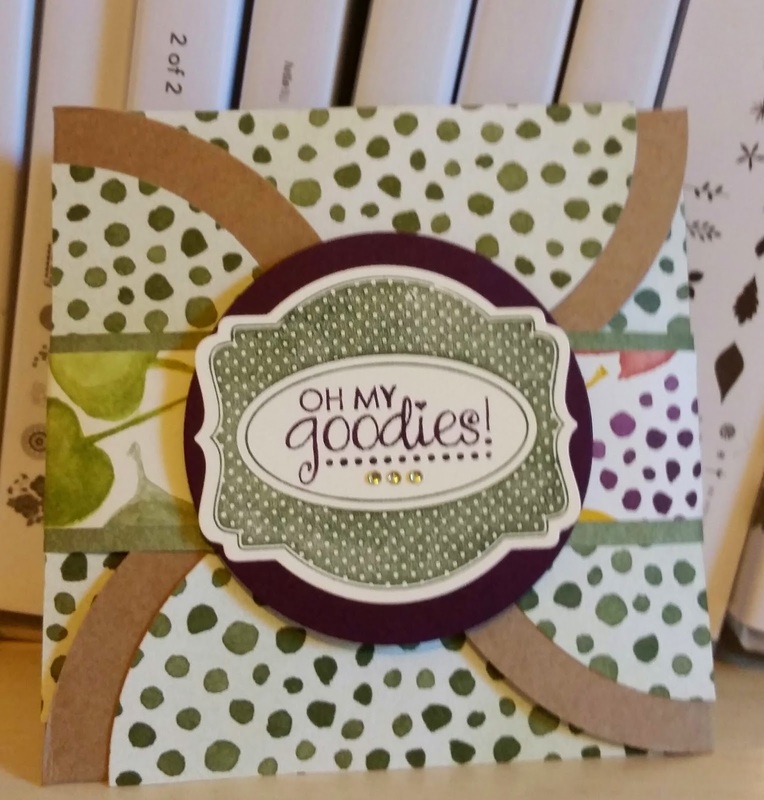 This set is so easy to use and I have some more cards coming soon with this stamp set! 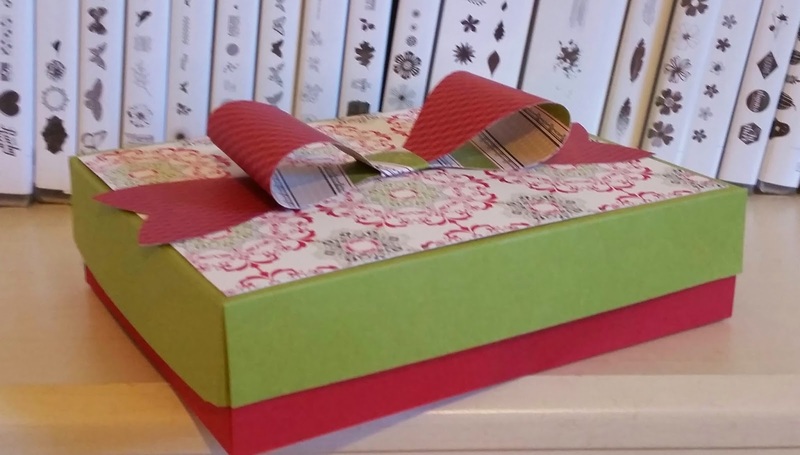 I make an box to hold the cards from my Christmas card class last week using retired DSP and card stock. I love using the Gift Bow Bigz die and knew it would complete my boxes. 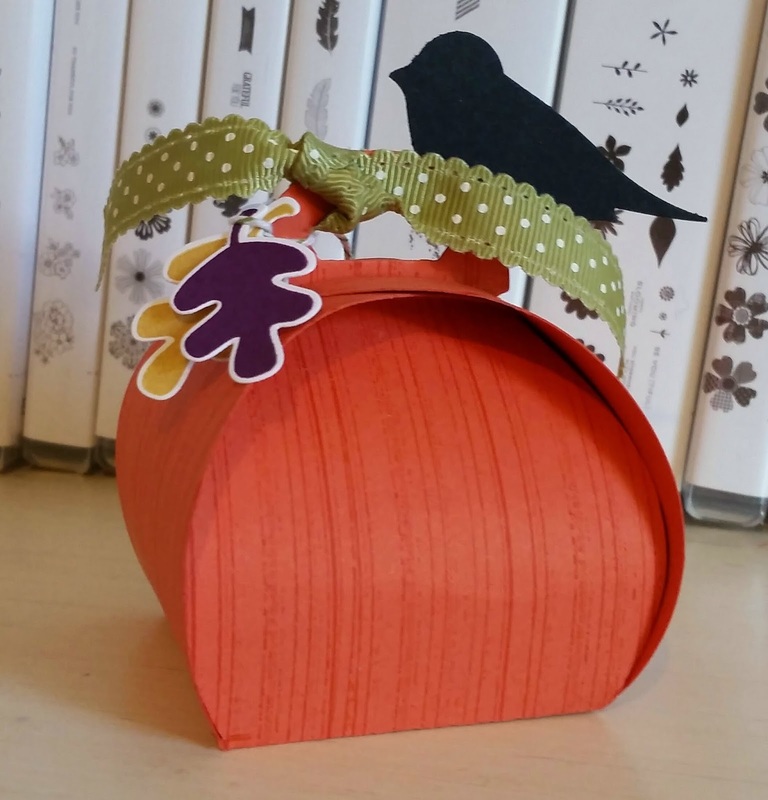 I hope my guest from class will like using to hold cards they give or a present during the holidays! 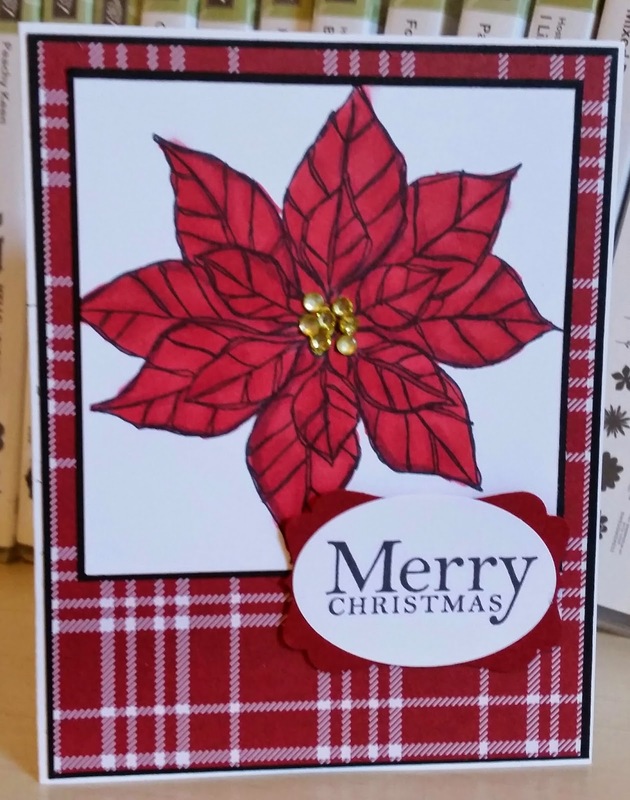 I decided to pull out my Blendabilities and stamp the poinsettia from the Joyful Christmas set. I added some rhinestones to the center that I colored with the Blendies also. 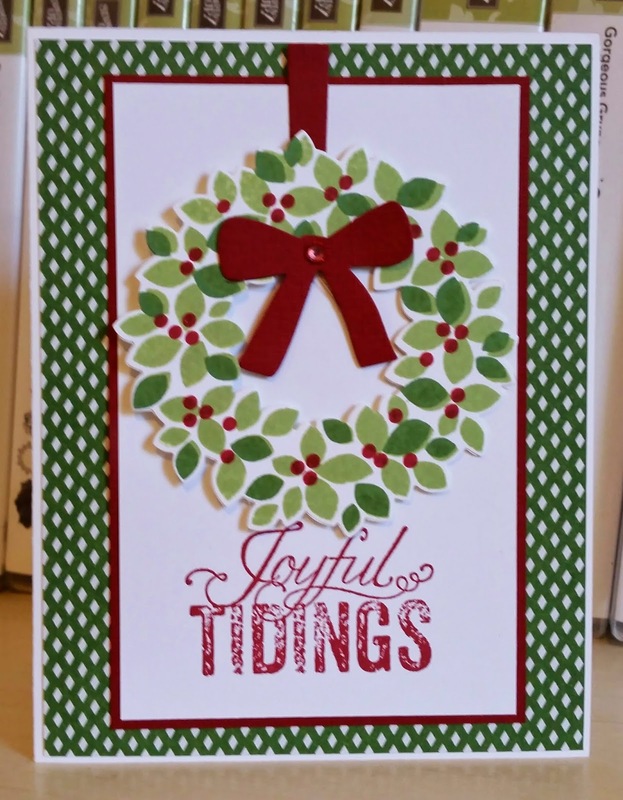 I hope you can see the details in this last card from my Christmas card class this week! I started with the Crumb cake because I had several of these cut from last month's class and I heat embossed in Cherry Cobbler. 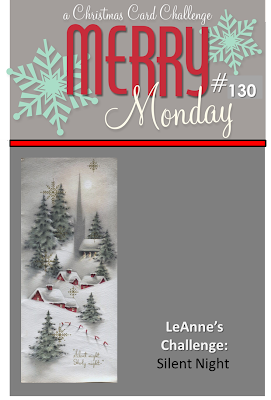 I then added the Christmas in a banner with a touch of twine but it needed something else. i posted it to my Pretty Pals stamping group of demos and they all agreed it needed some bling. I colored the rhinestones with a Cherry Cobbler blendies marker and all was well.! 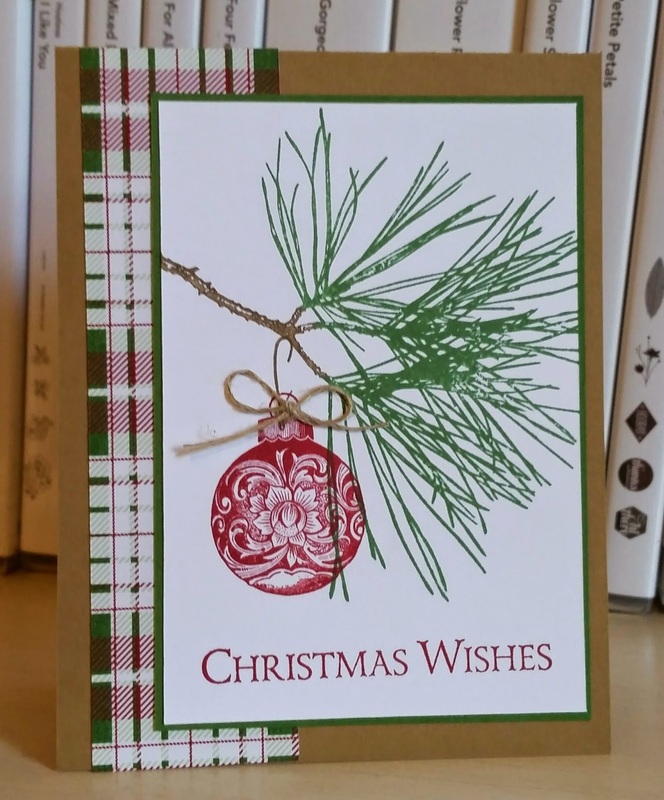 First, I used the pine cone stamp from Ornamental Pine. 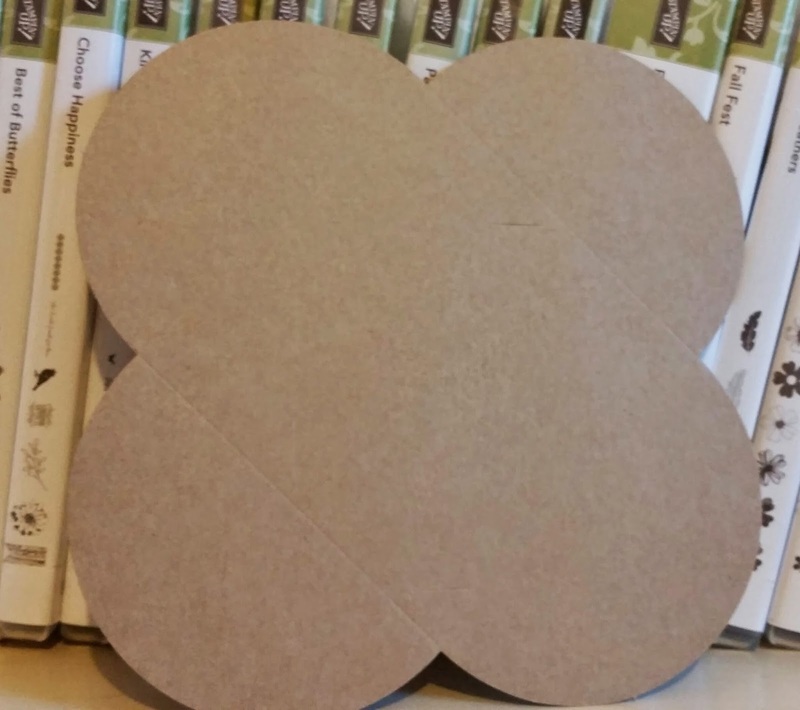 I punched a 1 1/4" circle from a piece of post note so it would hold in place to make a center for my wreath. I stamped the cone in Old Olive five times around leaving a little space between each. I then came back around stamp this time in Encore gold ink. I lifted my circle off for a finished wreath. I added the 1/8" gold ribbon and then stamped in the same gold my sentiment and finished it off with some brushed gold card stock. I like how the gold here is not real shiny and but look festive. I decided to do an all gold card on Very Vanilla for this challenge. 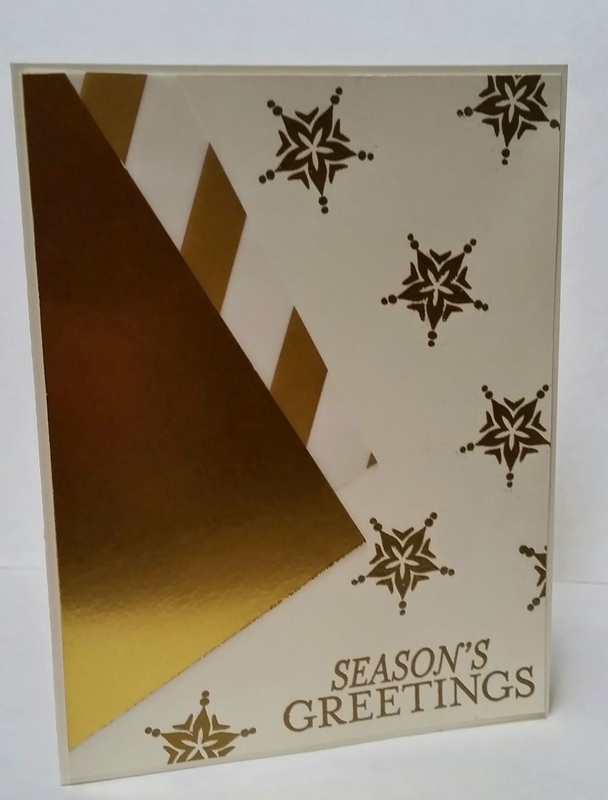 I little heat embossing and some shine with the gold foil (which by the way is hard to photograph) make for a festive card! 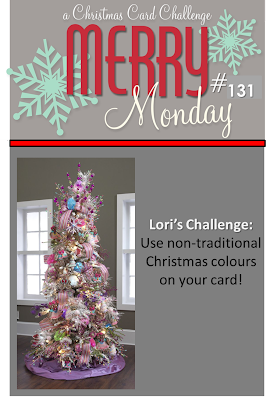 Lori's challenge is a fun one: non-traditional Christmas colors. I, of course, went right for my purple. My Christmas tree at home each year is decorated in silver and my favorite color, purple. 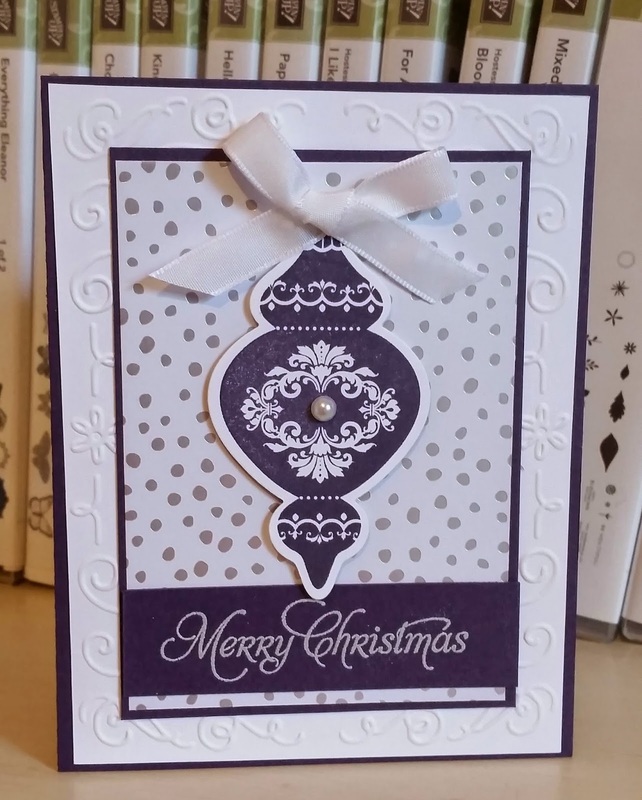 I stamped the ornament in Elegant Eggplant and die cut it. I added a pretty pearl to the center. 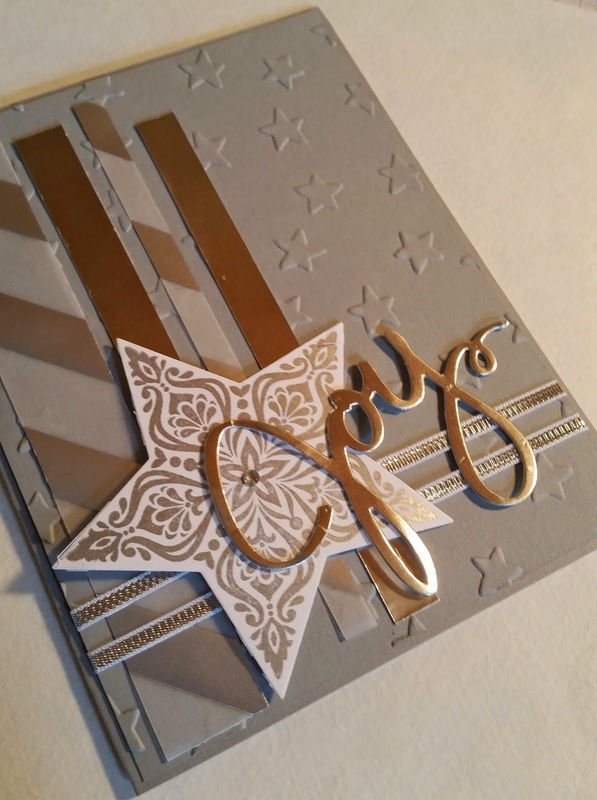 I decided for a little shine with the white and silver dotted paper from All IS Calm DSP. I wanted a little texture so added a piece of card stock using the Filigree Frame emboss folder to the layers. 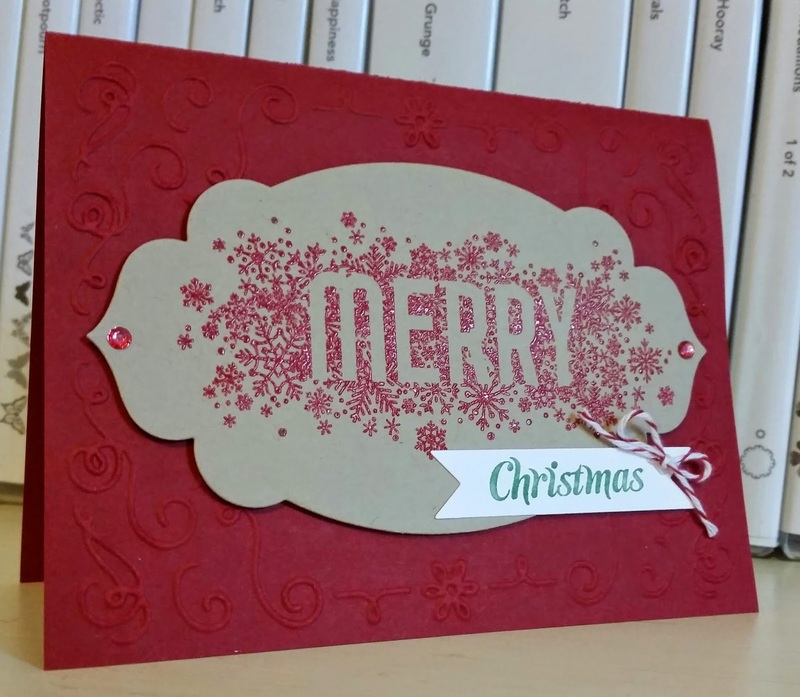 I embossed the sentiment (my favorite Merry Christmas from More Merry Messages stamp set) in Smoky Slate. I did not have any Eggplant ribbon and no time to dye any. But I am very happy with the way it turned out and very quick also. 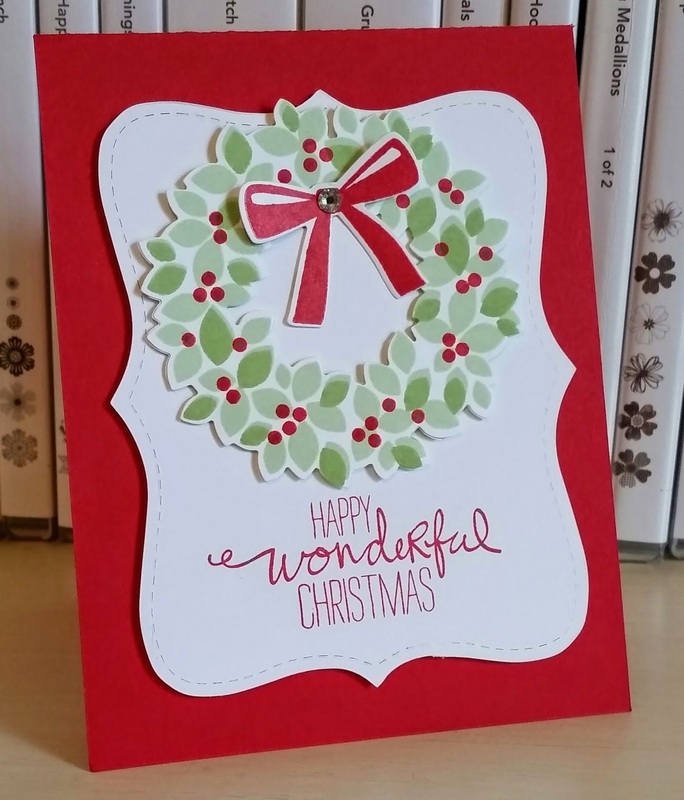 Thanks to Wendy Johnson at pinkanddotty.co.uk for the inspiration for this card! 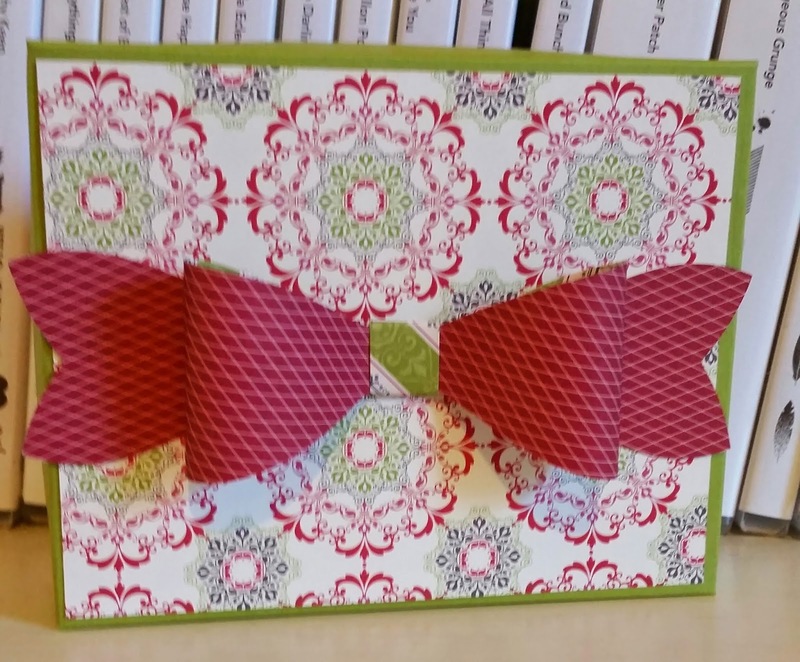 This is card four out of five for Christmas card class tonight! I used light colors for the wreath for a change from regular use of Garden Green. I used Pistachio Pudding for the first base stamp and then layered with Wild Wasabi. The Top Note die does not get used enough but works so well for this stamp image and to place a sentiment! I knew as soon as I saw this stamp I would use Real Red and Pool Party together again! I love those together esp. for a Christmas card! 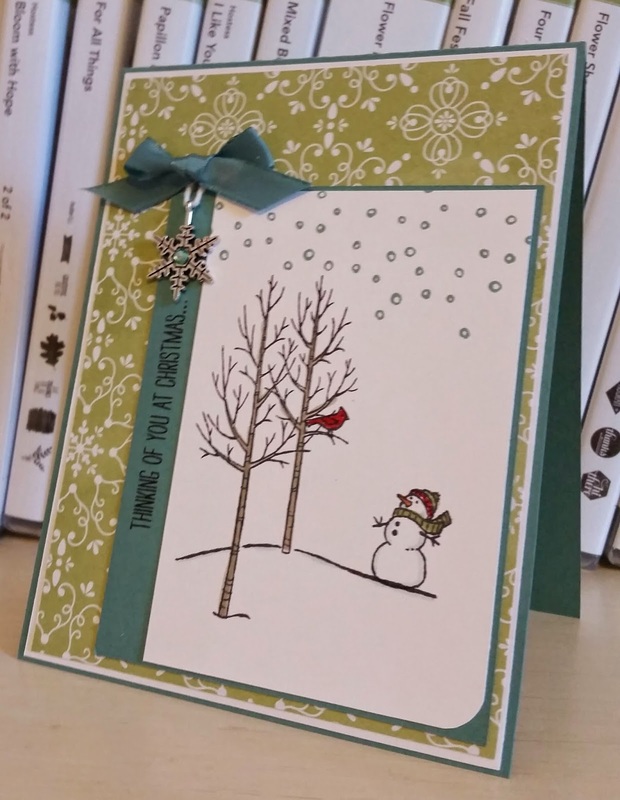 Card number three for Christmas card classes this week starting tonight! I used markers to color the image. I love the texture and feel of the new cotton ribbon...I need more colors! Thanks for stopping by and have a COOOOOL day! 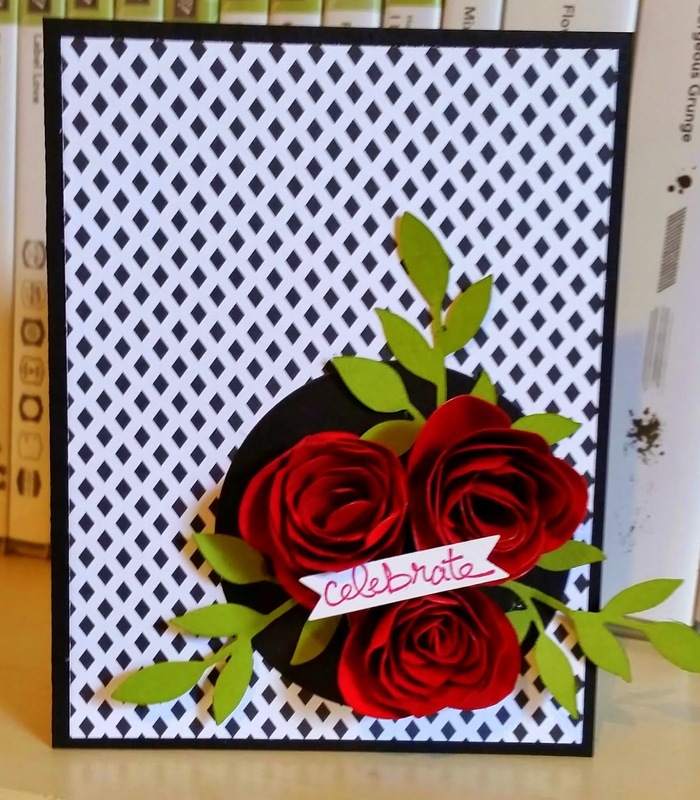 Thanks to Lori Spendlove at Squeeze Your Creative Juices for the inspiration for this card! Love it! This is the second card for my Christmas card this week. A little cutting involved but worth it! I did stamp the Star in Silver ink but could be embossed in silver emboss powder! I hope you enjoy your Sunday and thanks for stopping by! Happy Happy 68th Birthday to my Mom! I did not take a photo of her awesome card but it was very colorful with lots of blendabilities! 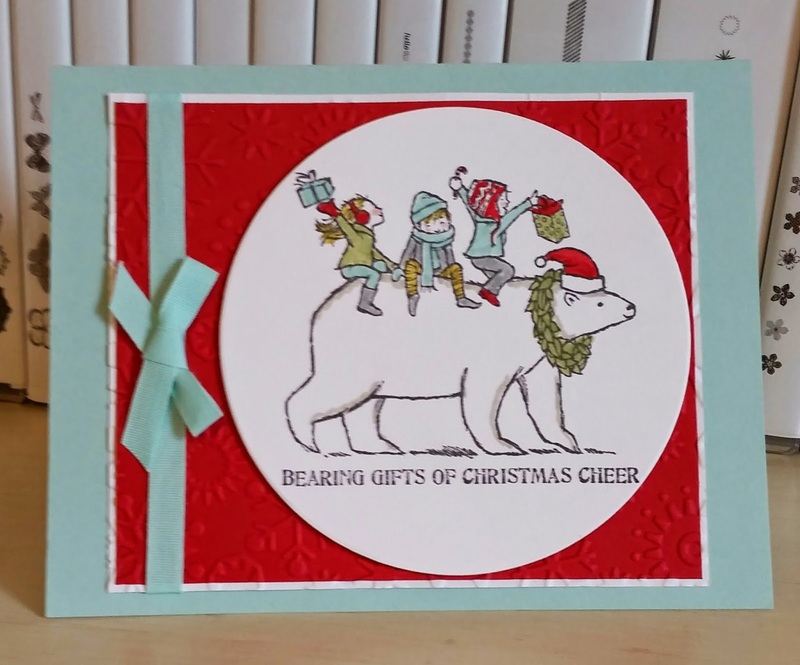 This is the first in my Christmas Cards for card class on this next week! Love the look of this set and I knew I wanted some Plaid in there. So glad it came back in the Trim a Tree paper stack! I tried my hand at placing the ornament just right and it came out (the second try) just fine! I did ink my pine branch stamp in Garden Green and the rubbed a little ink off the branch part and used my Baked Brown Sugar marker. I hope you have a wonderful Saturday! When I saw this fun sketch from Jen Timko, I knew I wanted to make a Christmas card but was trying to think of an image to fill the space. 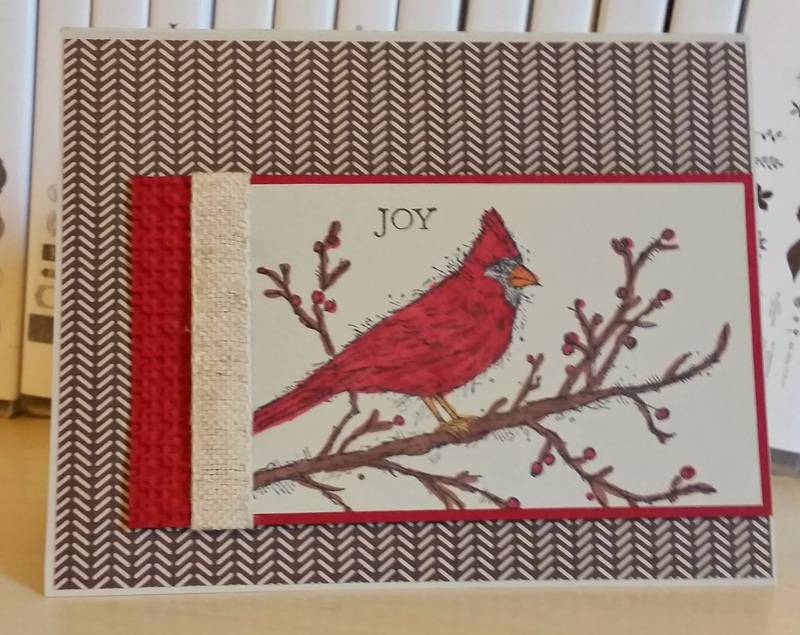 Grabbed the Cardinal but saw my Sahara Sand sitting by the cutter and decided to try stamping and coloring on that for a different effect other than white or vanilla. I like the way it made it look a little natural and I did not even have to color my friend's face in here! 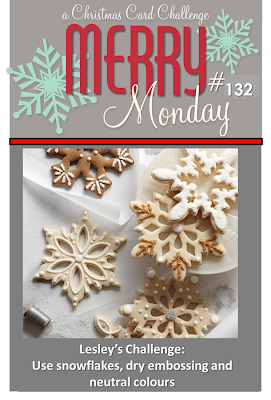 I used Blendies and added more textured by embossing the little bit of Cherry Cobbler sticking out and placing some Natural ribbon around. The background DSP looks like a sweater to me some it is full of texture! 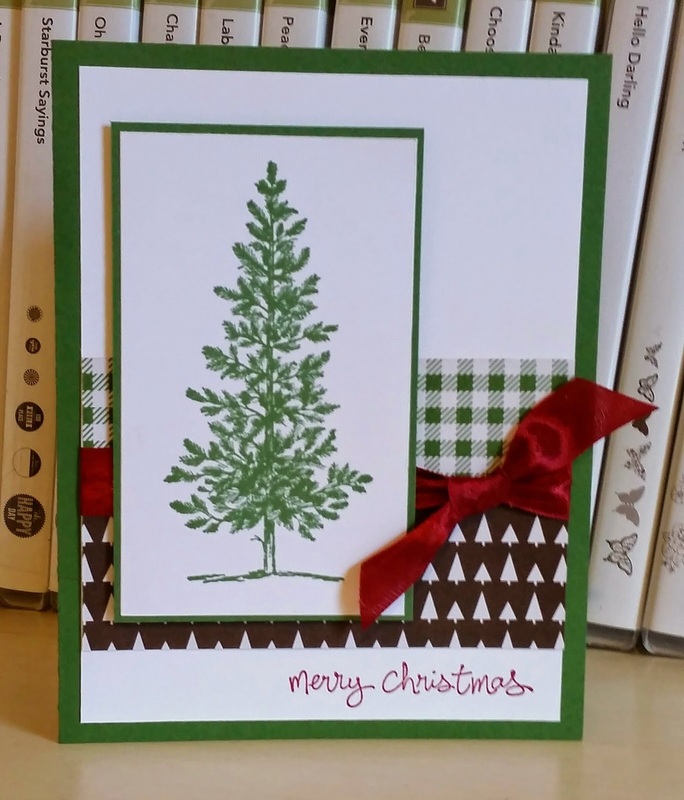 I already had my Lovely As A Tree stamp set out so why not use the tree again? 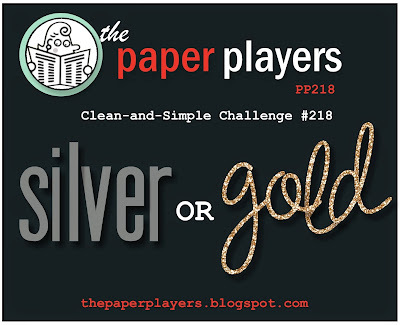 I went right to the Trim A Tree DSP paper stack and had my color combo easily! I started to add some red to the tree but then decided i like it simple! Have a blessed Thursday and thanks for stopping by! I decided to make a simple one layer card using the a clear block (E) stamped in Sahara Sand ink and then I inked up a stamp from Lovely As A Tree and stamped off once after applying Always Artichoke to it. I stamped three times on the background I created to make it shadowy and then stamped by tree again full on with ink. 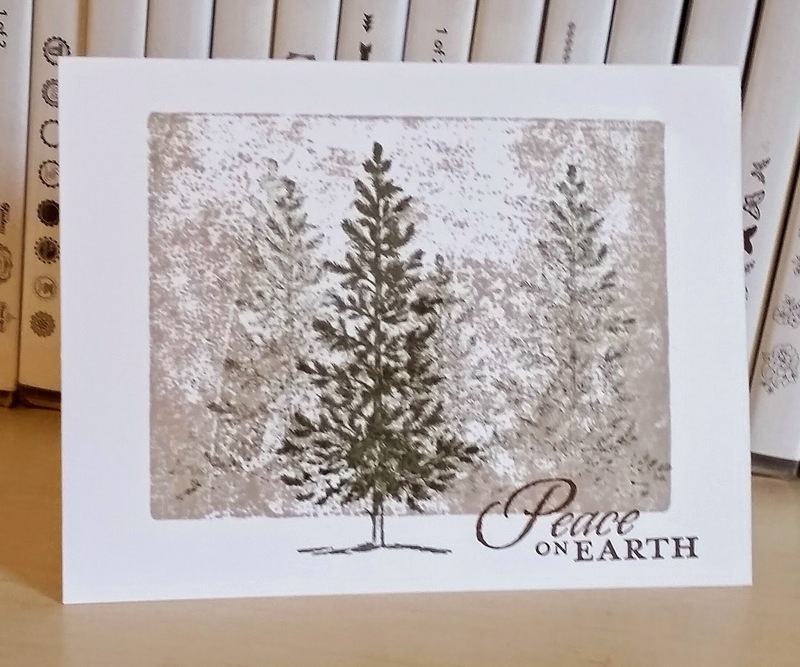 I added Peace on Earth in Soft Suede to keep with the serene of the scene! 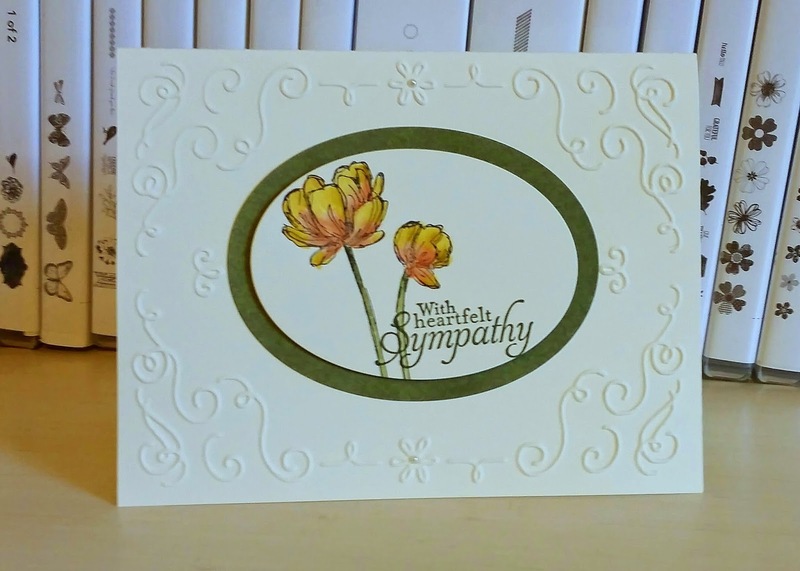 I planned to design a card for the color challenge and then received word that my Aunt Sheryl's mother passed away so I needed to get a sympathy card right out. Then I thought these colors can be soft with the blender pen. I blended Hello Honey on top of flowers and then Tangelo Twist on bottom. 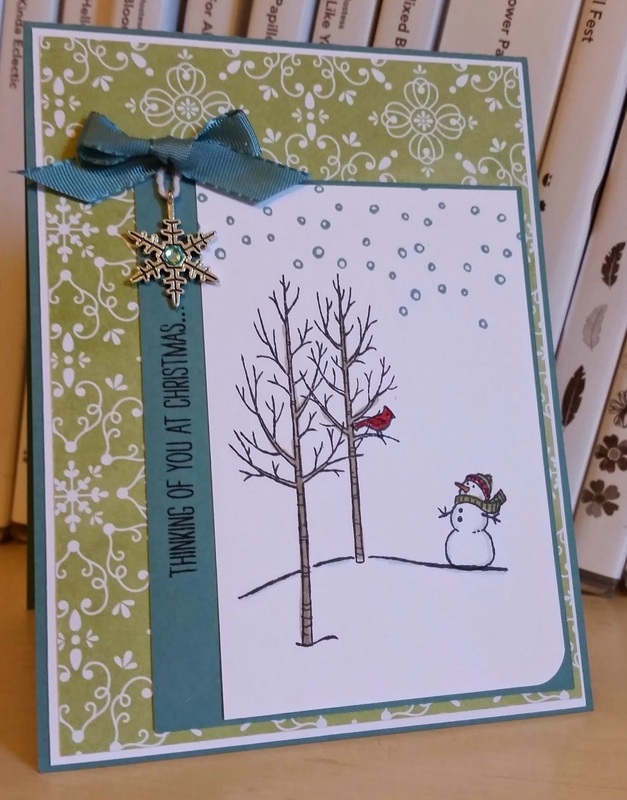 I used my favorite sympathy from the now vintage Simply Sketched. This is a card I designed for my friend Kristin's birthday which is today! 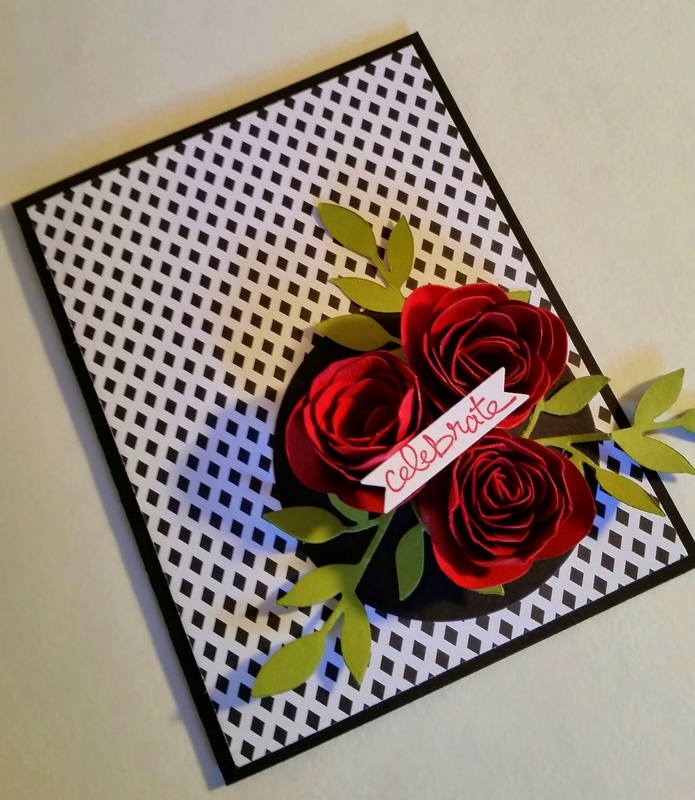 I love to make more detailed cards like this but only do when hand delivering to the special person. Close up of the roses. 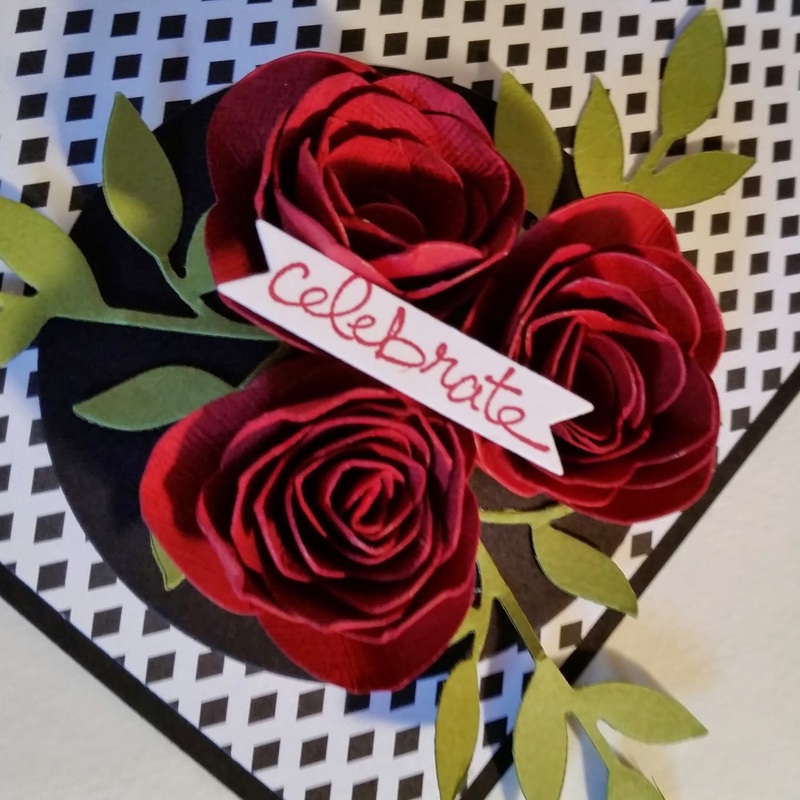 I love the Spiral Flower die! Thanks for stopping by! Hope you have a wonderful Monday! Happy Birthday to my step-mom Janet! Lots of Sahara Sand and sponging here! I hope you enjoy your Siunday! Funny how I think SU! colors are not neon but when I looked through the pads, I thought Tempting Turquoise is pretty close! 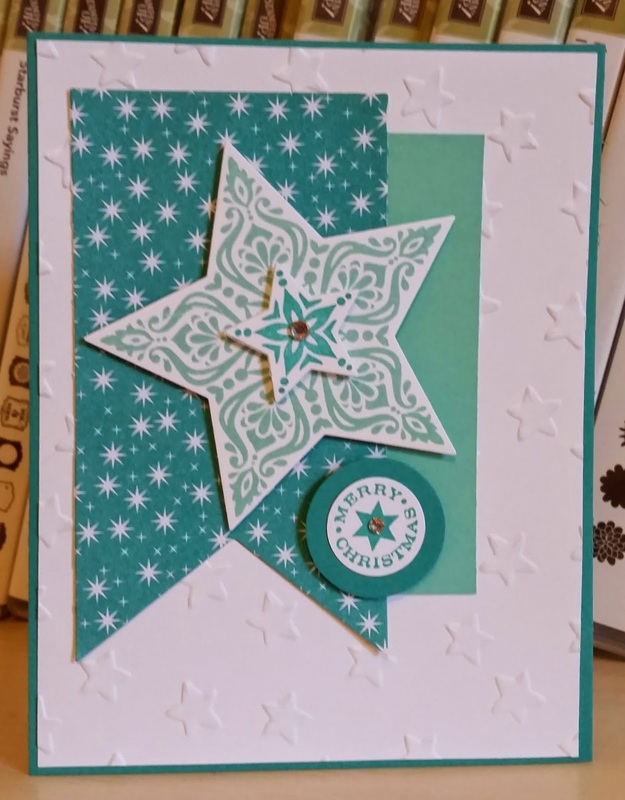 I then thought of snowflakes and the Triple Time stamping for this card. I like the way it turned out and will have to remember Turquoise can be a Christmas color! Have a Merry and Bright Saturday! I decided to play around with my Autumn Accents die aka Leave dies. 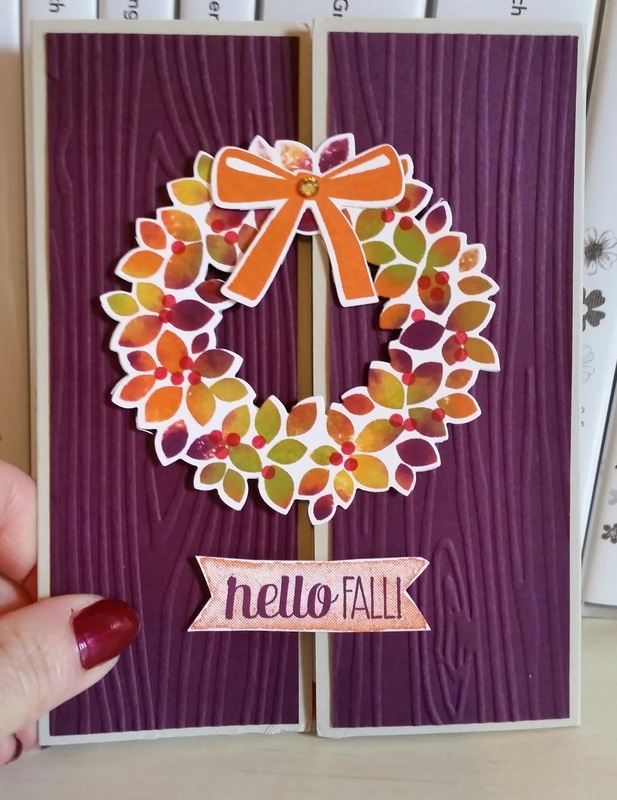 I choose colors from the Color Me Autumn DSP and used a piece for my background to show off the great colors! I will be sending this off the my college girl right away! I thought about this design while I was away for the weekend for a family wedding. I thought about it but could not do anything because not in my stamp space to create! It drove me crazy until I could sit down and put this on paper! I was not sure how a sentiment was going to go or which one yet but knew I would heat emboss in black emboss powder those feathers! The hello ticket works perfect with the set! It will be off soon to my mom in the mail! I have many birthdays coming up so need to start some of those! I decided to try a gatefold with the wreath this time. 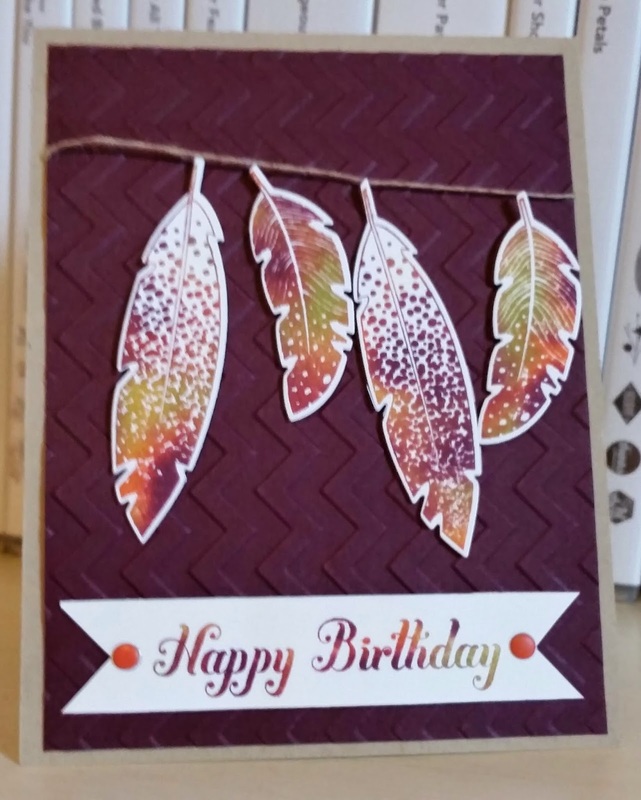 I used the wood grain emboss fold to give me some faux wood door type panels on either side in Blackberry Bliss card stock. 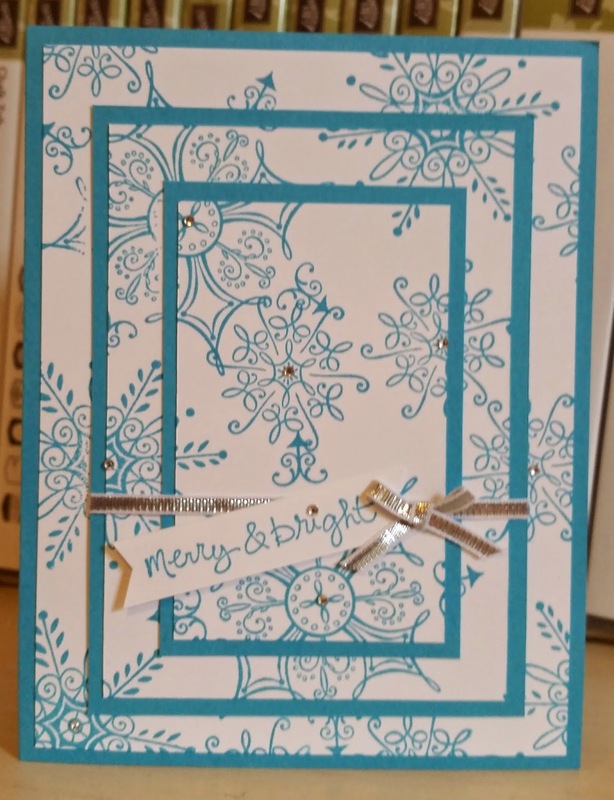 I used some Tangelo twist inside with a die from Apothecary Accents framelits dies in Whisper White card stock for writing a message. For the sentiment on the front, I inked the banner stamp from For All Things stamp set in Tangelo Twist then stamped off once on scratch paper and then stamped on my card stock to make a little lighter for my words to go on top in Blackberry Bliss. I hope you have a fantastic day and thanks for stopping by! A Happy 77th Birthday to my Mother In Law today! While I was stamping my wreaths with the baby wipe technique, I decided I needed some feathers, too. I had them sitting the desk cut out for a while but not sure what I wanted to do with them. Then I thought about hanging them from linen thread and using some crumb cake somewhere. All came together easily enough. 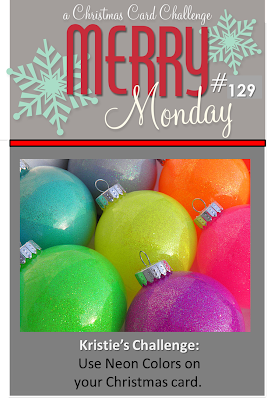 I did decide to use a sentiment that was bold so i could also stamp it in the same fashion for the multi color look! 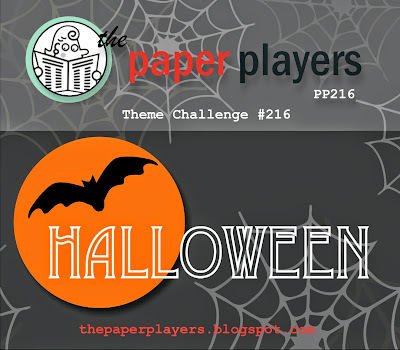 I do not celebrate Halloween so I do not make and send cards. But thought about a treat box instead. I could not decide if wanted to stamp a Jack-o-lantern face on the box or not. But I love the addition of the blackbird on top! 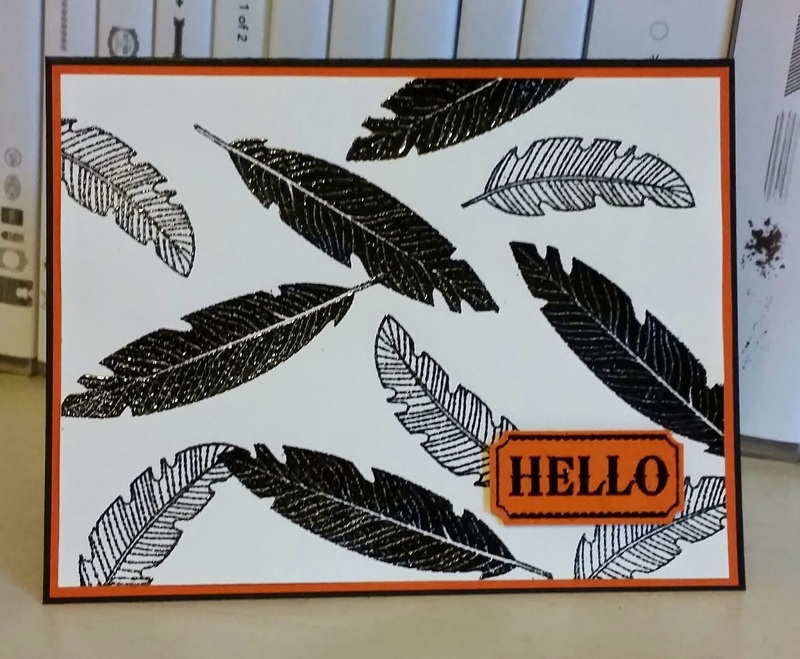 I did stamp in Tangerine Tango on the box with the lines in Gorgeous Grunge stamp set. I hope you have a blessed Monday and thanks for stopping by! 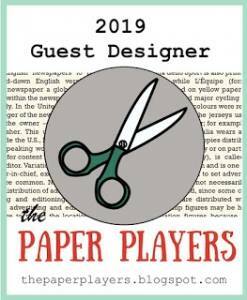 I designed this card yesterday on World Card Making Day! 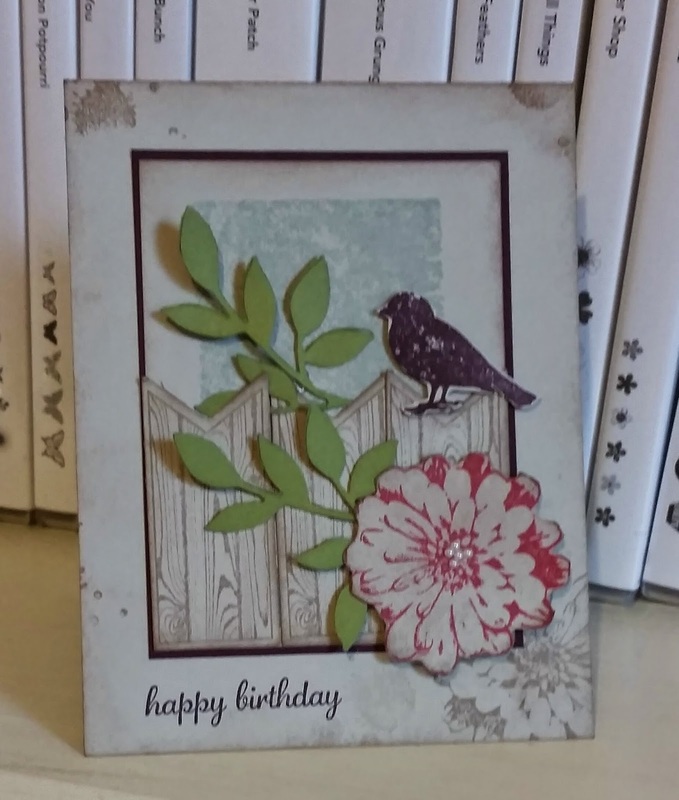 I spent just a few minutes in my stamping space to make a card! Hope you did, too! 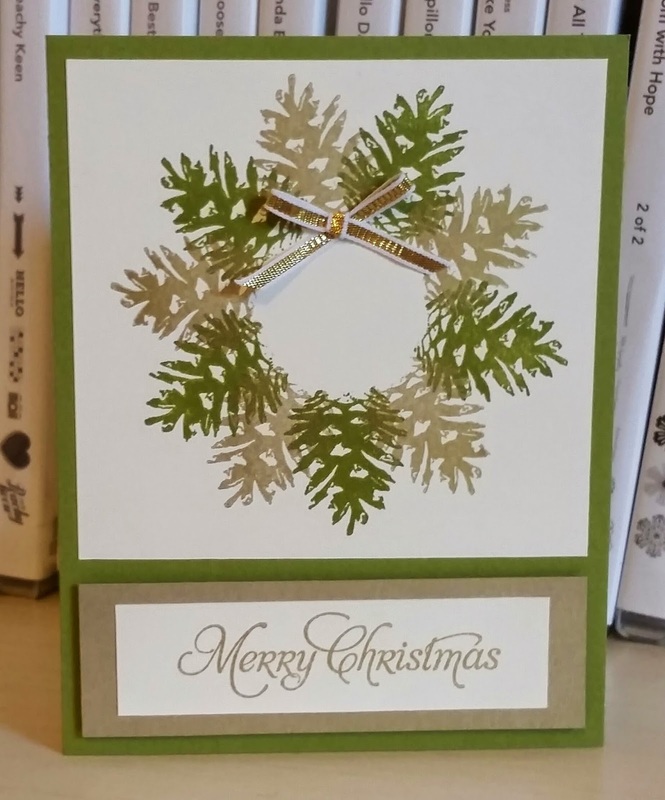 I just thought I would do another Christmas wreath with different sentiment and use some Trim The Tree DSP.